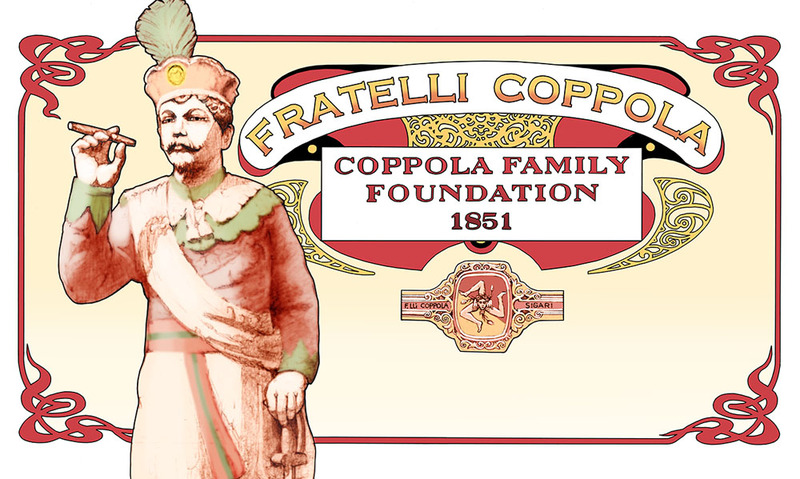 Fratelli Coppola is the name of the Coppola Family Foundation, a charitable fund set up by Professor Brian P. Coppola (1957-) to provide support to eligible organizations of diverse interest. Fratelli Coppola does not accept solicitations or requests for funding. 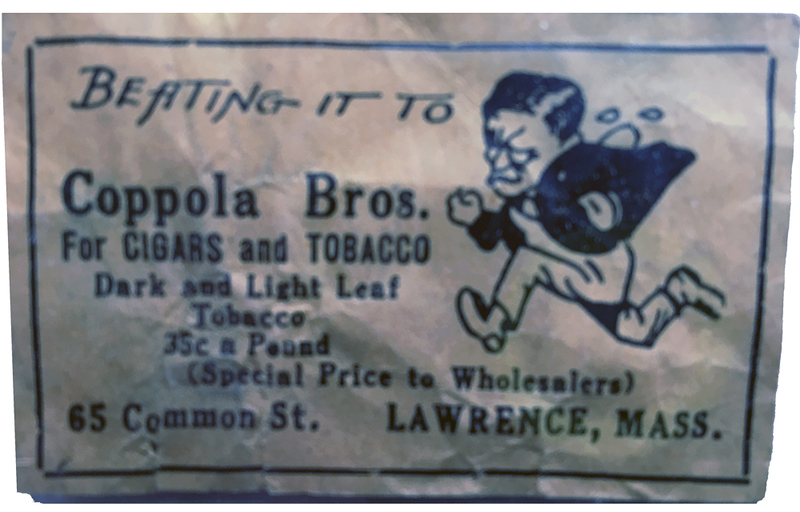 The logo features a likeness of the statue that stood for many years outside of the Coppola Brothers (Fratelli Coppola) cigar manufacturers, a company that was set up by the family patriarch, Francesco Coppola, and honors the Sicilian immigrant heritage of the family who, with Francesco, moved to America around 1900. Fratelli Coppola is set up using the Donor Advised Fund platform provided by TIAA-Charitable. 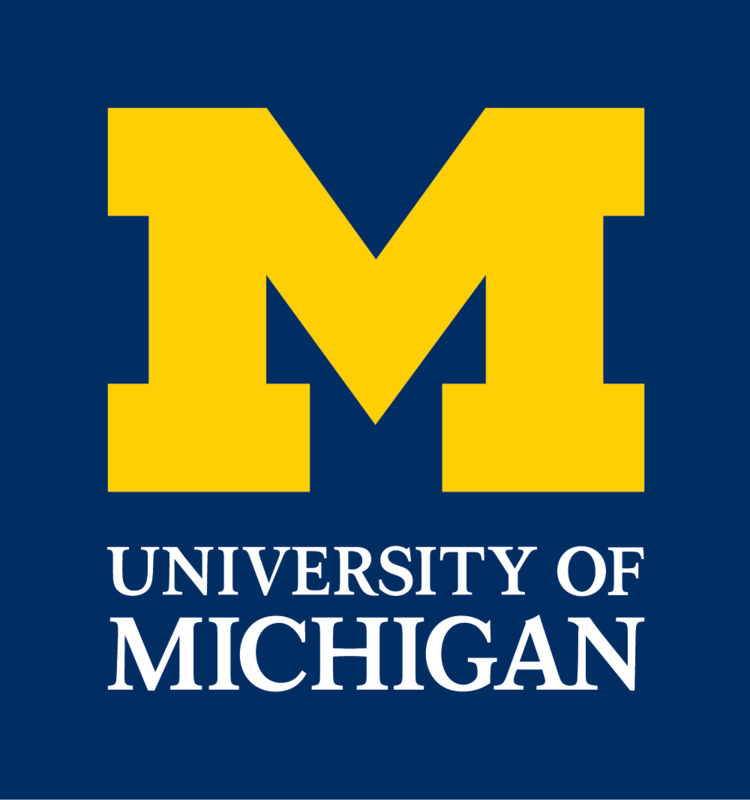 Millions of eligible recipients can be designated for giving. To add funds or other resources to the Fratelli Coppola endowment, please contact me directly. The current form is somewhat confusing without direction. Logo designed and drawn by Gerhard. Ignominious history from “The Tobacco Leaf” (a trade publication for tobacconists) August 23, 1905 (p7). Boston, Aug 22. 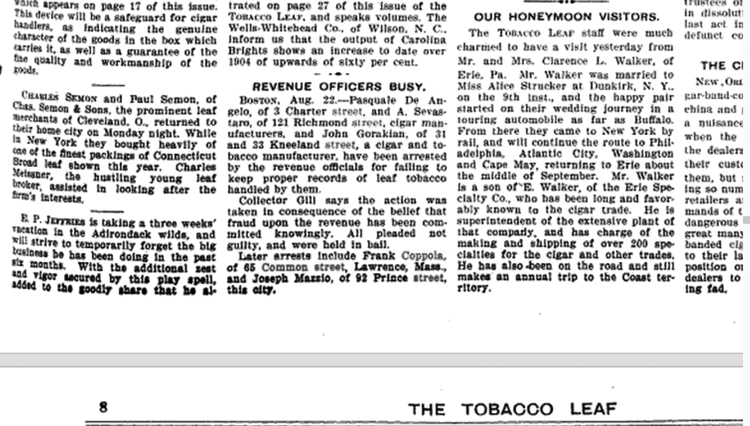 – Pasquale De Angelo, of 3 Charter street, and A Sevastaro, of 121 Richmond street, cigar manufacturers, and John Gorakian, of 31 and 33 Kneeland street, a cigar and tobacco manufacturer, have been arrested by the revenue officials for failing to keep proper records of leaf tobacco handled by them. Collector Gill says the action was taken in consequence of the belief that fraud upon the revenue has been committed knowingly. All pleaded not guilty, and were held in bail. 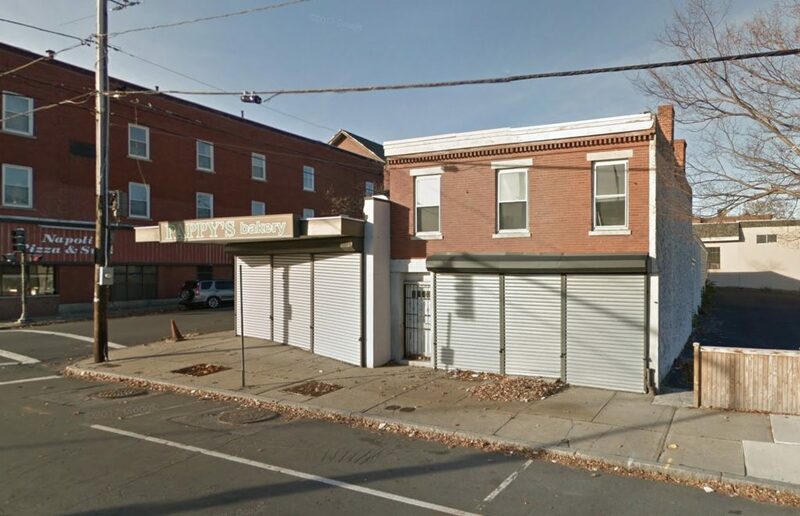 Later arrests include Frank Coppola, of 65 Common street, Lawrence, Mass., and Joseph Mazzio, of 92 Prince street, this city. 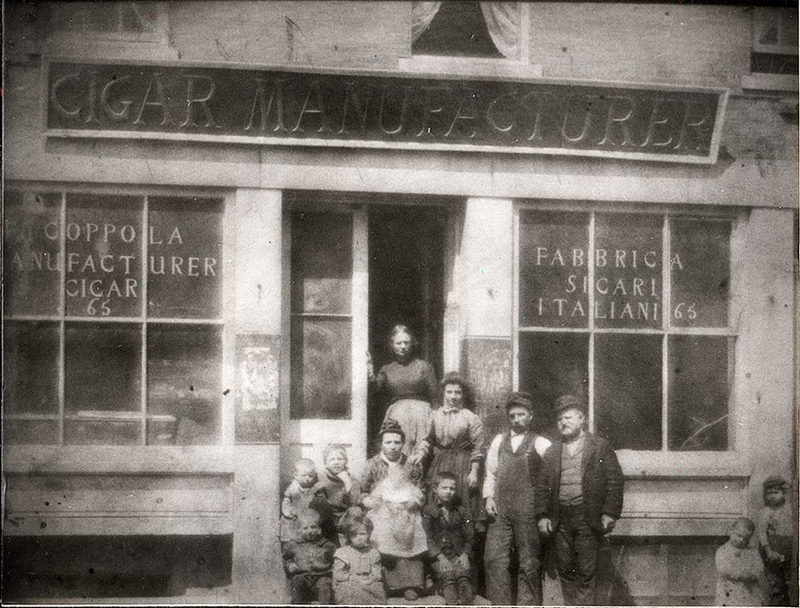 Note the three windows on the second story of the 1903 image, above. 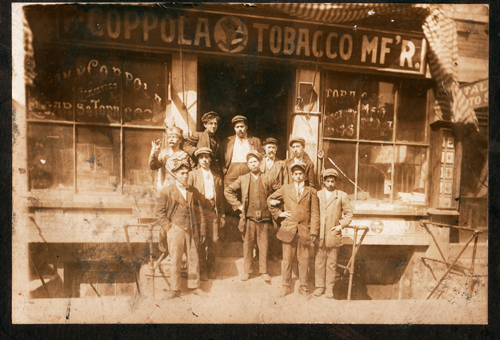 Pappy’s Bakery (next door, at 71 Common Street) was one of many staple bakeries in the heyday of this Italian-American community, most of which are now closed. Pappy’s closed its doors on January 1, 2006. 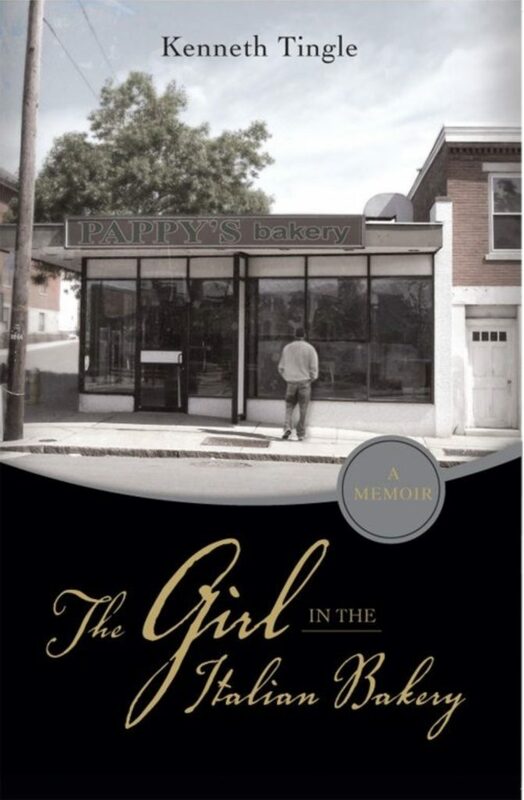 A picture of Pappy’s, and a sliver of the 65 Common Street building, appeared on the cover of Kenneth Tingle’s 2008 book “The Girl in the Italian Bakery” (this tale of unrequited love ended up with an interesting footnote, as the girl in the story ended up being able to identify herself to Tingle after the book was published and had a degree of popularity that brought it to her attention).